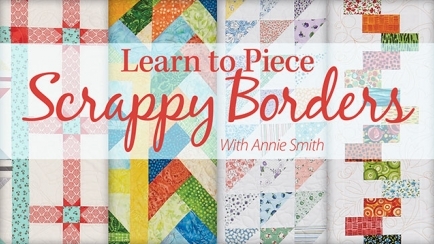 Annie Smith has been quilting since 1980 and teaching since 1984. She teaches nationally and internationally and loves to mentor quilters of all skill levels. She is well-known for machine appliqué but loves all types of quilting and designs her own quilts and patterns. She is a BERNINA Ambassador, an Aurifil Designer and a podcaster. She launched the first podcast for quilters in 2005, Quilting Stash, which is still being broadcast today. 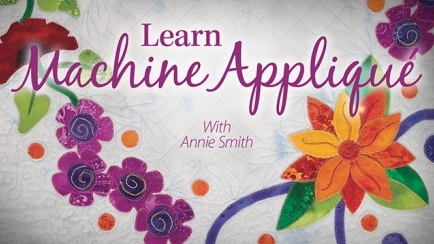 Annie is also the instructor of two additional Annie’s online classes, Learn Machine Applique and Learn to Piece Scrappy Borders. Displaying 1 - 3 of 3 classes(s) found. 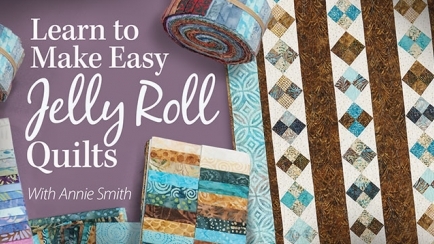 Learn to make gorgeous quilts using precut Jelly Roll collections, which provide beautifully coordinated fabrics while reducing cutting time!